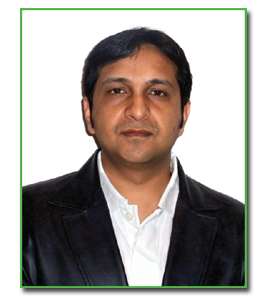 Vikas Gupta is a Computer Science Engineer with 20+ years of experience in capital markets (entire electronic trading stack), telecom and internet industry, where he has served in various roles like associate director, software development manager, vice president and software developer with proven record of driving top line revenue growth. He has has worked in India, South Korea and U.S.A.
Vikas has made a debut in the world of writing with his work .Aliens and Us Are We Prepared Yet?., and hopes to become an author of good books. Vikas lives in Charlotte, NC U.S.A with his wife, son and daughter.